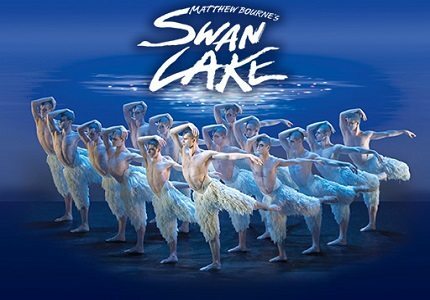 Matthew Bourne’s Swan Lake is a contemporary take on a traditional ballet. Bourne’s interpretation was first staged at Sadler’s Wells in 1995 and is the longest running ballet in the West End, returning almost every year as a seasonal favourite. Bourne’s Swan Lake steers away from the traditional story of Swan Lake whilst still drawing influence from the essence of the storyline. Bourne’s interpretation focuses on a young prince, his beautiful but disapproving mother, and his urge for freedom. After continued boredom at his regal duties and constant repression from his mother, the Prince is driven insane and begins to imagine his freedom, which is embodied in his swan fantasy. As tensions build further in the young Prince’s home life, he descends further into madness. Bourne’s show is considered to be rather radical for its modern elements, that include a 70’s style disco bar and various sections of contemporary dance. Most radical of all is that, for the first time ever, Bourne’s Swan lake dispensed with the traditional female corps de ballet as the swans and instead replaced them with buff, shirtless and aggressive males. Despite defying convention with a controversial adaptation of the traditional ballet tale, Bourne sticks to the timeless and beautiful score of Pyotr Il'yich Tchaikovsky, which accents the movement on stage. With Bourne’s provocative adaptation and Lez Brotherson’s bold designs alongside Tchaikovsky’s traditional score, the show promises to be a Swan Lake for the modern era. The show is dark and sexually aggressive in some places, with a few scenes of violence. For this reason the show is not suitable for young children, however older children accompanied by an adult may enjoy the show for its flawless dancing.